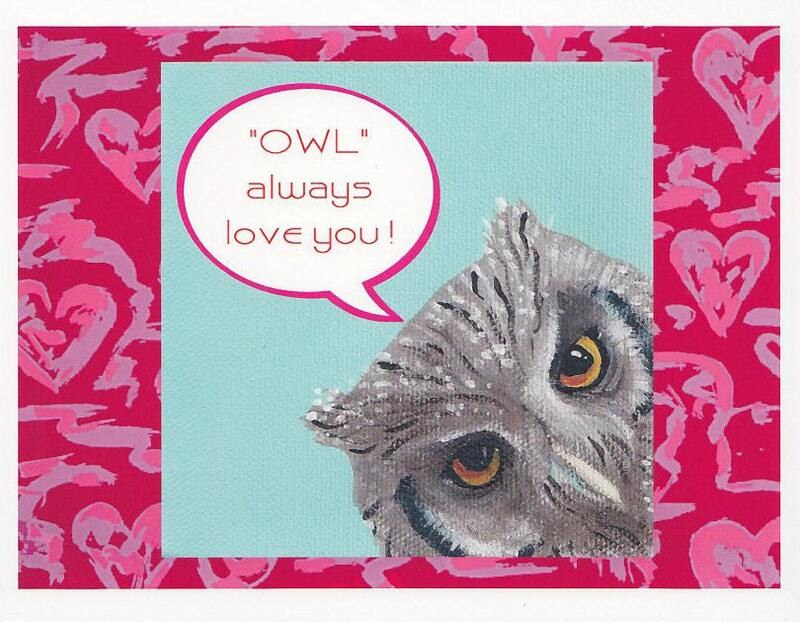 Pinky the owl is here to profess his/her love! An original painting that was done for a dear friend is now a valentine card. Each notecard measures approx 4" x 5" and comes with a matching envelope in a cello sleeve.